Love the lines of the piece and your work is exceptional! I really was pleased by how it turned out. I never would have undertaken the project had I realized what I was in for. But stepping back and looking at it – WOW! 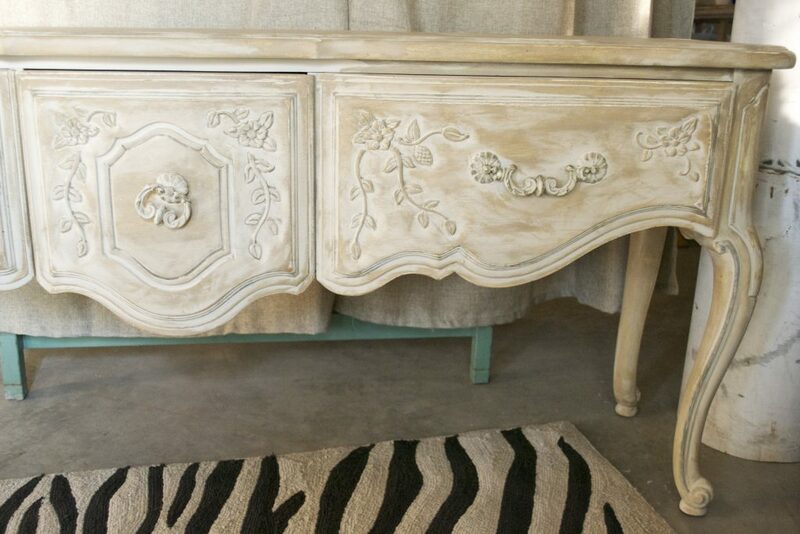 I’m so happy I did it (and I’m plotting my next chalk paint project . . . ). It’s the Cee Cee Caldwell wax. I used the Dark Antiquing Wax on the piece I did. I’ve since used it on a pretty french chair that was painted stark white. The effect was the perfect softening, and it didn’t take any of the paint off. So I think I either didn’t wait long enough to let the chalk paint dry before waxing, or it just reacts that way to chalk paint and not conventional paint. 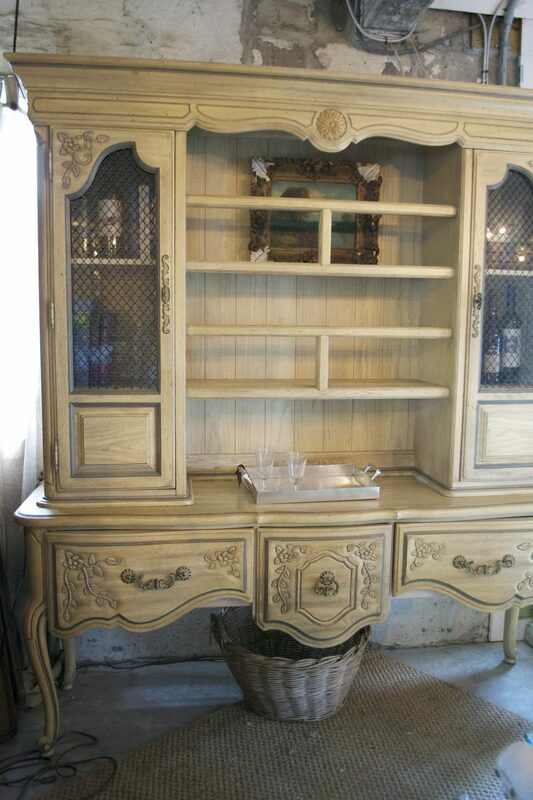 I love this hutch, did u keep or sale it? If u sold it ,how much? Amy Howard is my new favorite for the rich, custom look you can give any piece with her paints. There’s just much more variety in her line that it really can do anything you imagine with your furnishings. There is a beautiful painting of two cows on the wall at Wild Tomato in Cabin John. I have heard that they are from your store. Any more like that? If they’re cow paintings and were acquired at Chartreuse, they are by Molly Susan Strong, a vintage dealer and artist. She has a fun selection of them now, plus she does custom work.